Caption: “We all know kids who would make a great teacher. We need to be on the lookout and start tapping them on the shoulder,” said NYSUT Executive Vice President Jolene DiBrango. “There’s no better recruiter.” Photo by El-Wise Noisette. Union leaders agree: There is no single, quick and easy fix for the teacher shortage, especially in a growing number of high-need subject areas, that is hitting school districts big and small. 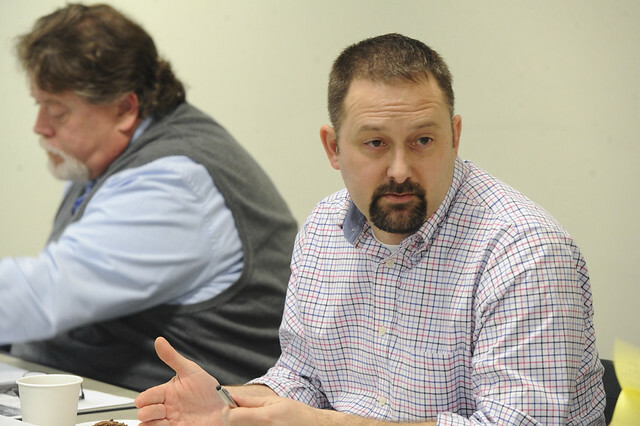 The issue will remain front and center on NYSUT's agenda, union activists say. The teacher shortage is the result of a “perfect storm” of contributing factors, DiBrango said. Chief among them is the fact that enrollment in teacher education programs in New York has plummeted at a time when one-third of the state's teachers could retire within the next five years. Copenhagen TA’s John Cain said his district’s retention rate improved once his local union took over the mentoring program and expanded it into a more comprehensive three-year experience. “It’s crucial to provide strong mentoring programs to help them succeed,” he said. NYSUT is advocating for increased support of mentoring programs and professional development opportunities, DiBrango said, adding that the union is looking at ways to expand connections between K-12 and higher education teacher prep programs. One promising approach is a union-backed teacher residency program in the North Country, where college students pursuing their master’s degree at SUNY Plattsburgh are placed in two-year residencies in local schools working side by side with supervising “attending” teachers. She also noted SUNY Brockport will pilot forums where higher education faculty host “campus conversations” to talk about careers in teaching. Local union leaders suggested a broad range of ideas to encourage K-12 students to consider careers in education, such as future teacher clubs, shadowing programs and K-12 mentoring programs. Amsterdam retiree Stacey Caruso-Sharpe recalled a program where high school students earned credits for tutoring elementary youngsters. Other suggestions included student loan forgiveness programs, expanded career education for middle school students, outreach to community college students, improved student teaching experiences, compensation for teachers who supervise student teachers, paid master’s degree incentives and a public relations campaign encouraging students and second-career adults to consider a career in teaching. DiBrango noted the best ambassadors for the profession are teachers themselves. Tell us: how can we support future teachers? Visit www.nysut.org/futureteachers to make your voice heard.